Even dead guys need to look fancy for special occasions, but who wants to get a tux fitted when you're just bones and no skin? 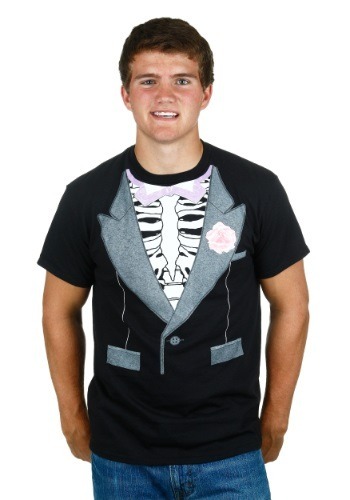 This Skeleton Tux Costume Shirt gives your the tux look and feel, without costing an arm and a leg. 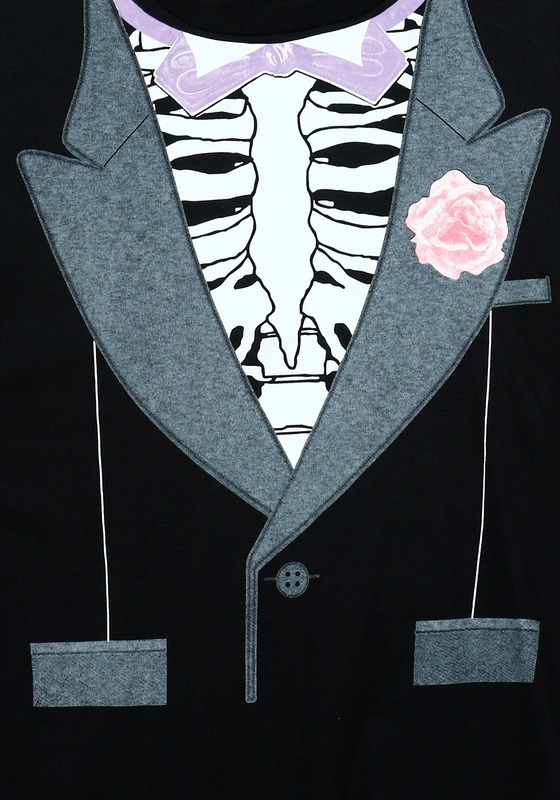 It also has some perfectly printed bones in front, just in case you aren't dead yet, but want that aged corpse look.